After eating excessively during the holidays, starting with some lean pork tenderloins would probably be the right choice. One of my new year's resolutions is to stay healthy, but also to enjoy delicious foods. I hope I will discover more interesting recipes, and improve the quality of the pictures so that they look indulgent. I am inspired by all the talented and creative food bloggers out there. Their beautiful food blogs make my passions for cooking get stronger. In a small bowl, mix basil, rosemary, garlic, ginger, soy sauce, salt and pepper together. Rub the ingredients over the pork tenderloins and place them in a freezer bag. Refrigerate for about an hour. Remove the pork tenderloins from the freezer bag. Coat pork tenderloins with corn starch. Heat oil in a large skillet over medium high heat. Pan sear the pork tenderloins until golden brown on all sides, and then transfer the pork tenderloins to a baking dish, uncovered. Add the broth to the meat, and bake for about 15 minutes. Take the meat out, brush the top with one tablespoon of honey. Put the meat back into the oven and bake for 10 minutes. Take the meat out again. Flip to the other side. Brush with the remaining honey and bake for another 10 minutes. Remove from oven. Let rest for 5 minutes before slicing. I agree and it's one of my new year resolution to live healthy lifestyle. I don't mean to eat boring food, but I'm trying to eat small amount and healthier food. Japanese food is considered one of healthy food for low fat and simple ingredients, but I just eat way too much! 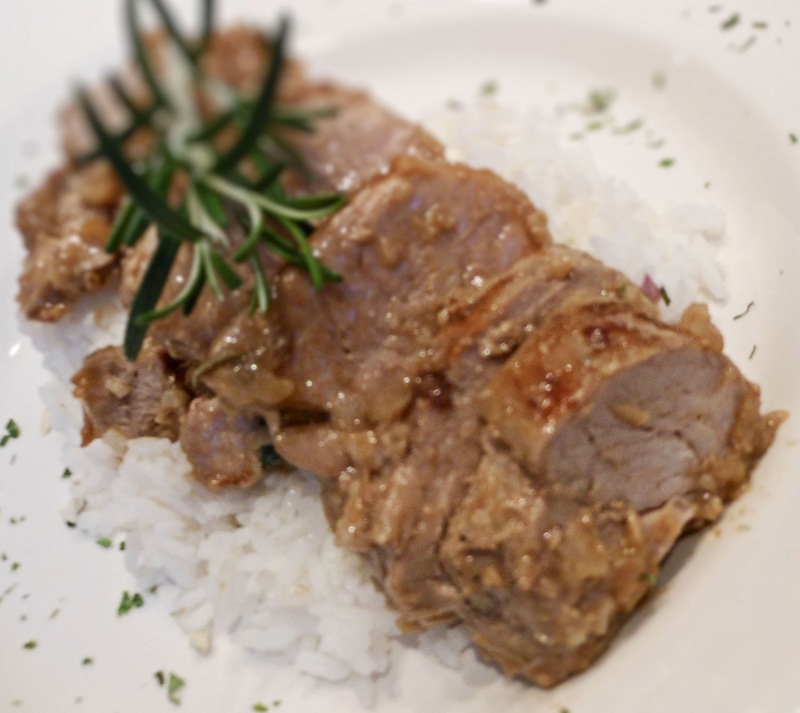 I'm very inspired by this pork tenderloin (although I'm still thinking of your pasta dish while I type this haha). Soy sauce base with ginger, rosemary, garlic, honey... just fabulous. My family would love this! Nami, I love Japanese food. I am planning to try your sushi recipe that you posted on your blog once I get all the ingredients.